Uncapped, fixed billing, 99% uptime! 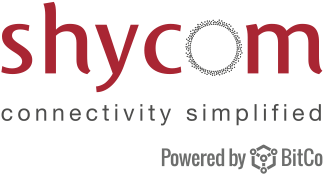 Shycom is a fully independent, Tier 1 ISP providing reliable business Internet with a guaranteed 99% uptime. We deliver high speed, uncapped Internet with fixed billing regardless of your usage. With Shycom Internet, your business stays online all the time. All prices exclude VAT and exclude installation. Check whether your business falls within our coverage.